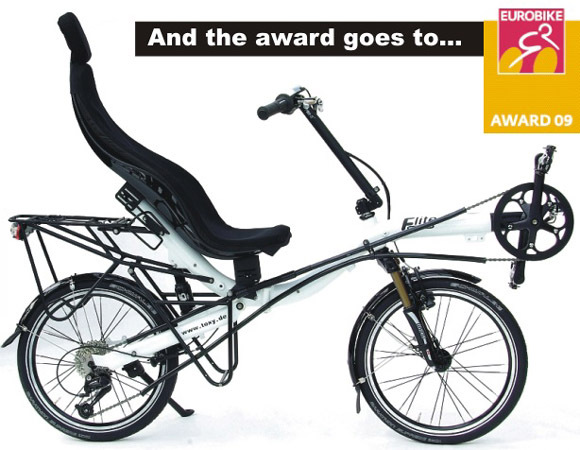 Toxy.de Main page » TOXY Recumbent Configuration » My Flite » Toxy Flite Deore 9sp. Basic model Flite, alloy full suspension frame (Shimano Deore 9sp.) with side kick stand & alloy pedals.